“On the weekend of the 8th to 11th of April, Emma and I flew to Melbourne. 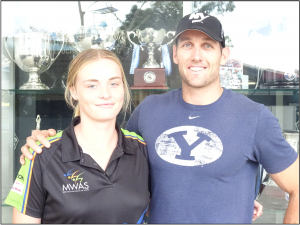 Harry Taylor who remains staunchly proud of the Mid West provided the financial assistance for Emma to fly to Melbourne, stay at the Crown Promenade, watch a Geelong game, go on a tour of the facilities and meet Sara Blicavs from the 2016 Australian Olympic Basketball Squad. Emma gained some great insights into the world of elite basketball from Sara. 1. Jetstar don’t make aeroplanes for basketball players. 2. The shuttle bus drivers from the airport have been watching too much “Swift and Shift”. The driver considered the only form of driving was to tailgate at high speed whilst swearing profusely at every other driver. 3. The Crown Promenade is NICE with high security. We had to ask for help to work out how to open our door with a card! 4. 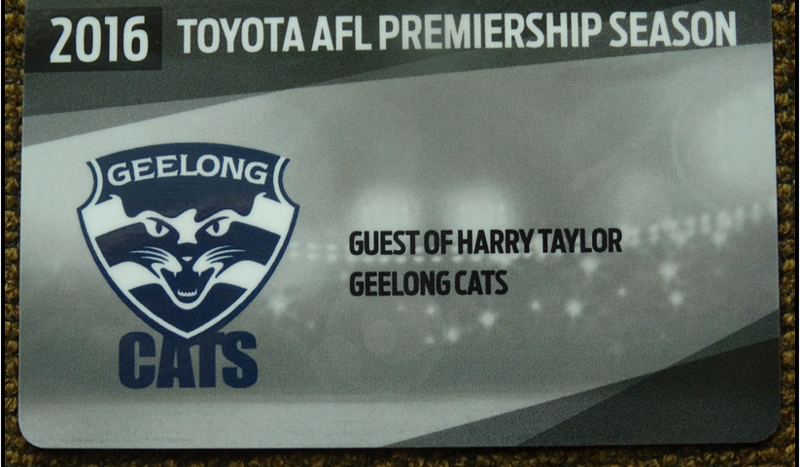 We had a lovely lunch with Harry and Sara at a café in Geelong and then Harry took us on a tour of the Geelong clubrooms (recovery pool, gym, theatre, computer facilities, offices, etc). 5. When back in Melbourne we visited the DFO and by chance Nike had a 30% off sale! 6. Watched Geelong play Brisbane Lions and win. Sat with Harry’s wife and son (Michelle and James). 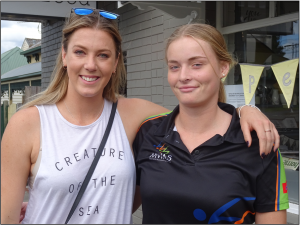 Michelle just happened to have played for the same basketball club as Emma in Geraldton (Go Trades!). 7. Checked out the casino, obviously security guards consider anyone who is 183cm to be over the age of 18! We won enough money to buy Ferrero flavoured ice creams on the way back to the hotel. 8. Checked out early on Monday morning to shop ‘til we dropped at the DFO, unfortunately they don’t open until 10am in Melbourne. Overall, a terrific sporting experience. 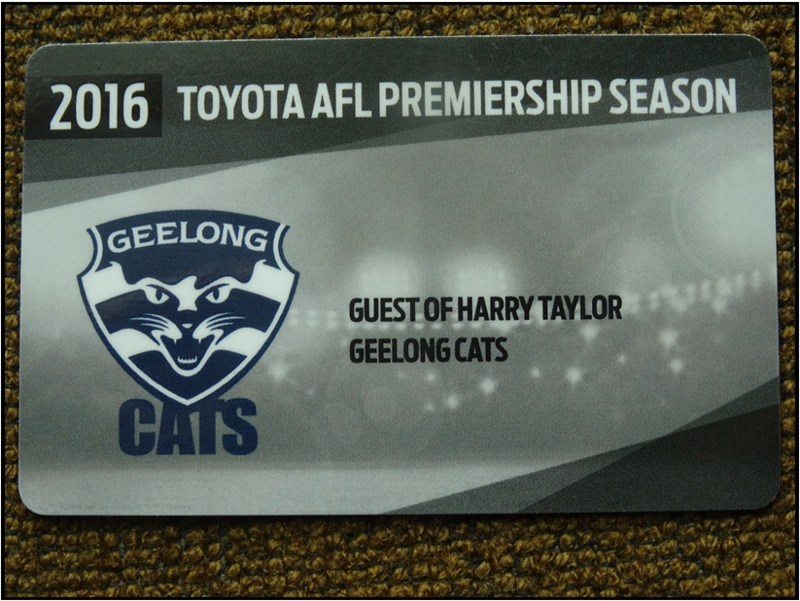 A fantastic gesture by Harry Taylor.